JANUARY 8, 2019 – The United Racing Club welcomes Catherine Hogue to the series as the Public Relations and Social Media Representative for the 2019 season. Hogue joins the team with about seven-plus years of motorsports experience under her belt. Originally from York, Pennsylvania, Hogue has been immersed in the racing community at various levels. Her cousin, Austin Hogue, raced in both the 358 and 410 sprint car series in Central Pennsylvania, so racing is a passion that is shared by her family and one that she has pursued as a career. She began her career as a junior in college, covering the 358 and 410 sprint car divisions weekly at Williams Grove and Lincoln Speedways for Area Auto Racing News, eventually expanding her coverage to the Gettysburg Times as well. She also covered select shows at various other tracks in the area, such as BAPS Motor Speedway and Port Royal Speedway. In January 2016, Hogue made the move to Charlotte, North Carolina, to pursue a career in the Monster Energy NASCAR Cup Series. She currently works for a championship team as the social media coordinator. The 2019 schedule for Port Royal Speedway has been released which includes a total of 33 oval track events. The season starts with a rare Sunday afternoon show on March 10th featuring the Weikert’s Livestock 410 Sprint Cars and the River Valley Builders Super Late Models. The sprint car winner will receive $4,000 on opening day and the late model winner will pocket $2,200 for an opening day victory. Lance Dewease and Jeff Rine took opening day honors in 2018. In 2019, the 410 Sprint Cars have five events on the schedule paying a minimum of $10,000 to win. As announced, both days of the Weikert Memorial over the Memorial Day Holiday will pay $10,000 to win. The 13th Annual Living Legends Dream Race on August 3rd will pay $10,000 to win and the World Of Outlaw Craftsman Sprint Car Nittany Showdown on October 27th will pay $15,000 to the winner. The speedway’s crown jewel event, the running of the 52nd Annual Tuscarora 50 will pay $52,000 to the winner on Saturday, September 7th. The Tuscarora 50 will again be sanctioned by the Ollie’s Bargain Outlet All Star Circuit of Champions and carry a Sunday rain date. The All Stars first visit to the speedway will be on Saturday night, April 13th with the running of the Keith Kauffman Classic. Port Royal Speedway will host two events as part of the 29th Annual Pennsylvania Speedweek for 410 Sprint Cars. The series will make their first stop on Wednesday night, July 3rd and pay $7,000 to win. The URC 360 Sprint Cars will also be on the program. Then on Saturday, July 6th, Port Royal Speedway will present a second $7,000 to win event. The Super Late Models will be part of the program on Saturday, July 6th. The Super Late Models will have a number of high paying events of their own. The Lucas Oil Late Model Dirt Series will return on Sunday, April 14th for the “Rumble By The River” and will pay $10,000 to win. The World Of Outlaw Craftsman Late Model Series returns on Saturday, August 17th and will also pay $10,000 to win. The 2nd Annual Tri-Track Challenge Series for the Late Models will present a $3,000 to win show on Saturday, June 1st. The ULMS Super Late Model Series will visit the speedway three times in 2019; the series has back to back shows on Saturday, March 23rd and Sunday, March 24th, each paying $3,000 to win, and the ULMS will be part of the Butch Renninger Memorial on Saturday, August 31st and pay $4,000 to win the Juniata County Fair Opener. And as previously announced, the Super Late Models will be part of the 2-day Weikert Memorial over the Memorial Day Holiday and both nights will pay $5,000 to win. The Creasy Signs PASS 305 Sprint Cars have 9 events on the schedule, including the 8th Annual Keystone RaceSaver Challenge on Saturday, October 12th. The other dates are: April 6, April 27, May 11, June 1, June 8, July 20, August 24, and October 19. The 358 Limited Late Model Division has replaced the Econo Late Model Division at the speedway and will be featured 12 times in 2019 including an invitation only event as part of the Tuscarora 50. The Mason Dixon Shootout Series will co-sanction events on four occasions in 2019 on March 23, April 13, April 14, and October 12. The Juniata Junction xTreme Stocks have eight events on the schedule including increased purse paying events for the Renninger Memorial and as part of the 305 sprint car Keystone RaceSaver Challenge event in October. The Summer Series for the 358 Sprint Cars will hold their second annual event at the speedway on August 24th as part of Open Wheel Madness II. The URC 360 Sprint Cars will make three visits to the speedway on April 27, July 3, and October 19. With the success of the Short Track Super Series in 2018, the Big Block Modifieds will return on Sunday, March 24th for a $5,000 to win main event as part of a 2-division show with the ULMS Late Models. The 2019 season schedule for Pennsylvania’s Lincoln Speedway has been released, and pocket schedules will be distributed at the “Motorsports” show in Oaks this coming weekend. 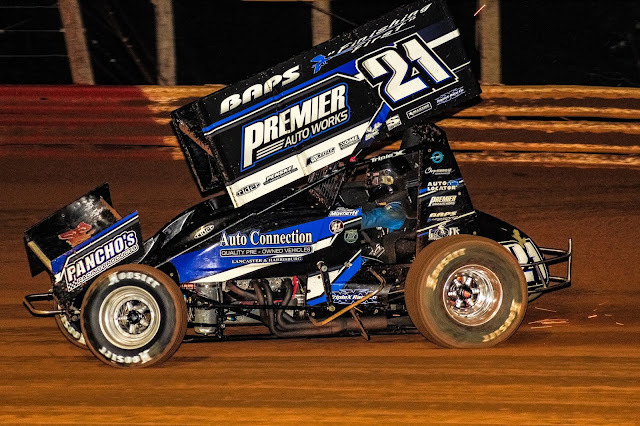 Celebrating its 67th year, Lincoln Speedway continues a tradition of offering the world’s toughest, most competitive Saturday night sprint car racing. Super sprints have comprised the main class of racing at Lincoln since 1965, and the “410” sprints are featured in 29 of Lincoln’s 31 race dates this year. Exciting racing has become the trademark of Lincoln’s other “regular” division–the “358” sprint cars, which will be in action 21 times in 2019, including the annual 360 vs. 358 Challenge on Saturday, June 8th. The popular Central Pennsylvania Legends will make six stops in the Pigeon Hills this season. In addition, the wingless super sportsman will appear twice, the 358 late models will make two stops, the Mid-Atlantic Modifieds will run twice, and the extreme stocks will be at Lincoln three times this season. Other divisions making single appearances at Lincoln this year will be the midgets, the PennMar modifieds, the 600cc Xcel modifieds and the Classic Cars. One of the most anticipated shows of the coming season is a return of the super late models, which will headline the show on Saturday, September 14th. In all, a dozen different classes of race cars will dot the 2019 schedule, a season that is loaded with huge shows. 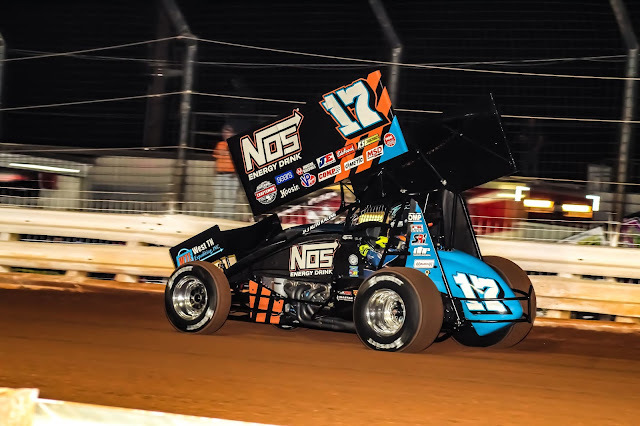 The famous World of Outlaws will return to Lincoln again this year for a special mid-week show on Wednesday, May 15th (a program which carries a rain date of 5/16). 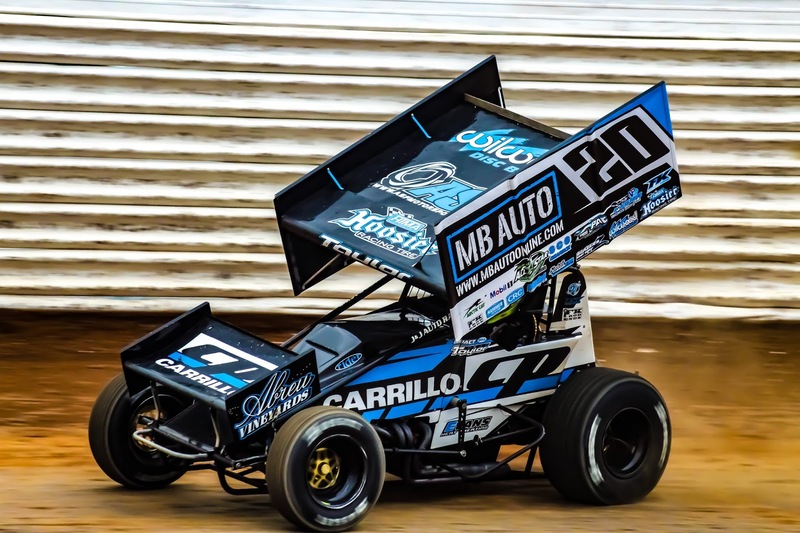 Lincoln will again host two shows during PENNSYLVANIA SPEEDWEEK, including the 20th Annual Kevin Gobrecht Memorial paying $7,000 to win on Saturday, June 29th, and another $7,000-to-win program on Monday, July 1st. Among the other highlights of an historic season at Lincoln will be the Weldon Sterner Memorial Spring Championship for 410 sprint cars paying $6,900-to-win on Saturday, April 20th, Tony Stewart’s All-Star Circuit of Champions on Saturday, August 24th, the Second Annual Bob Leiby Memorial on Saturday, August 31st, and the 2019 edition of the Hank Gentzler Memorial Manufacturers Appreciation Race presented by Pancho’s Racing Products on Saturday September 28th. Topping off a spectacular 2019 season will be “Dirt Classic VI,” which will be sanctioned for the first time by the All-Star Circuit of Champions. It will pay $20,000 to win on Saturday, September 21st. In addition, there will be special shows featuring kids “Big Wheel” racing and several auto racing “club” nights. As per tradition, Lincoln’s season opener will be held on the last Saturday in February. Gates for the “Icebreaker 30” will open at noon and racing begins at 2:00 p.m. The season opener will be a sprint-only show and pay $4,000 to win. Both the February 23rd and March 2nd shows carry rain/snow dates of the next day. CONCORD, NC - January 11, 2019 - The combination of sunshine, high-speed, wheel-to-wheel racing and the mere fact fans likely haven’t seen Sprint Cars since the World Finals last fall at Charlotte, make the DIRTcar Nationals at Volusia Speedway Park one of the most anticipated annual Sprint Car events. 25 ACTION-PACKED RACE DATES MAKE UP #WIDEOPEN2019! SELINSGROVE, Pa. – Selinsgrove Speedway officials released the 2019 schedule of events featuring 25 action-packed race dates at the historic Snyder County half-mile clay oval. Opening Day is slated for 6 p.m. Saturday, April 6, with the 360 sprint cars, super late models, pro stocks, and roadrunners making up the racing card. Pit gates will open at 3 p.m. and grandstand gates at 4 p.m. The 360 sprints cars will make 18 appearances at the track this coming season. The United Racing Club (URC) will sanction six of those events including a full-points race April 20, Jack Gunn Memorial May 25, Kramer Kup June 22, Firecracker 30 July 4, 360 National Open July 13, and the Summer Spectacular Sept. 1. The Patriot Sprint Tour (PST) will sanction the Joe Whitcomb Memorial 360 sprint car race on June 15. 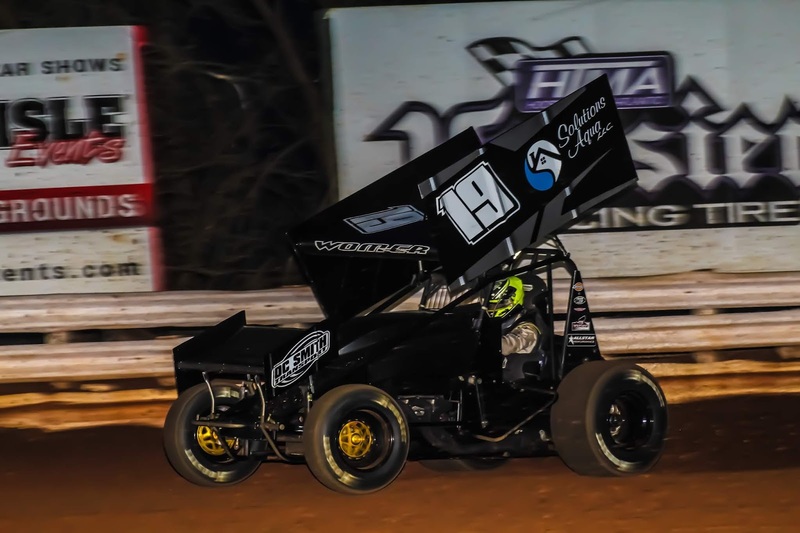 The Lucas Oil American Sprint Car Series (ASCS) returns May 4 for the second annual Eleven Oaks Farm “Battle of the Groves” with Williams Grove Speedway (May 3). This year’s northeast swing of the ASCS at Williams Grove and Selinsgrove, with the United Racing Club, will be televised by the MAVTV Motorsports Network. The super late model division will also compete at the track on 18 dates. Special events this year will include the Ron Keister Memorial May 18, KRS Graphics Super Late Model Challenge Series June 8, Firecracker 30 July 4, Northeast Ultimate Super Late Model Series “Showdown on Sand Hill Road” Aug. 10, United Late Model Series Summer Spectacular Sept. 1, and World of Outlaws Late Model Series National Open Sept. 21. Pro stocks will share the racing card on 17 occasions this season with the annual Pro Stock 20 slated for June 1. The roadrunners will race 16 times including the Roadrunner 20 Aug. 17. The limited late models will run six races in 2019, while the PASS/IMCA 305 sprint cars will make four appearances. 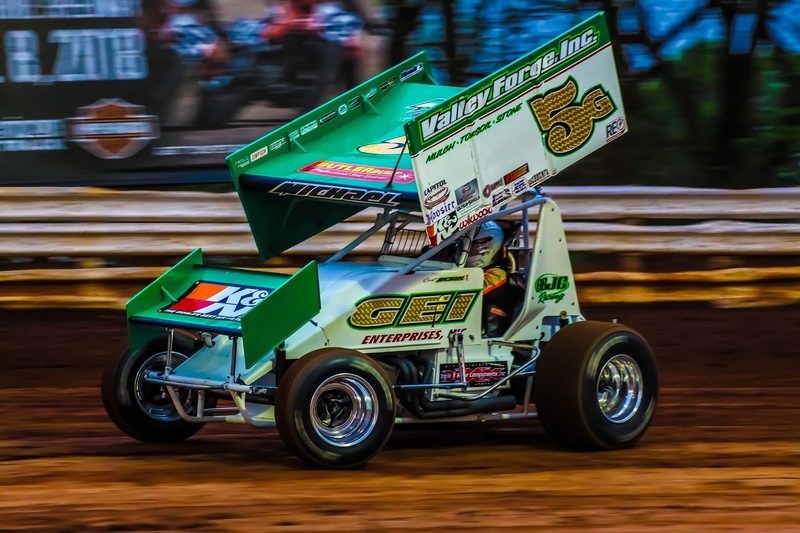 Four high-profile races for the 410 sprint cars will be held at the track this season including the Ray Tilley Classic April 28, PA Speedweek Opperman/Bogar Memorial June 30, Summer Spectacular Sept. 1, and Jim Nace Memorial/37th Annual National Open Sept. 14. The speedway will hold two open practice sessions on the half-mile track from 1-4 p.m. March 23 and March 30. Selinsgrove Raceway Park, the one-fifth mile oval located inside of the half-mile track, will kick off its 19th anniversary season with a program of go kart racing at 7:30 p.m. Friday, April 5. Go kart racing will be featured on all but one of the 27 race dates at Selinsgrove Raceway Park this year. The 270 micro sprint cars and slingshots will duel on the small track Friday, June 7. Burris Money Series (BMS) Sunday events for karts are slated for April 7, May 19, and June 23. The speedway’s annual Motorsports Show at the Susquehanna Valley Mall will run Sunday, Feb. 24 through Friday, March 1. Teams can register their cars for the show by emailing publicrelations@selinsgrovespeedway.com or calling 570.523.8420.